Teaching History with Film provides a fresh, engaging, and clear overview of teaching with film to effectively enhance social studies instruction. 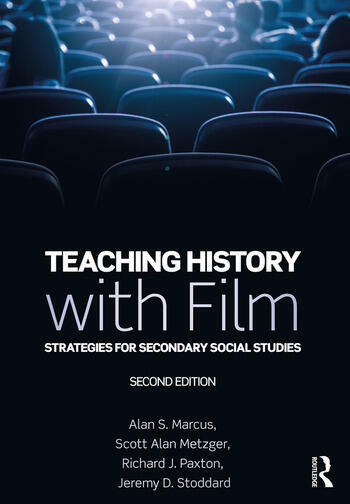 Using cases of experienced teachers to illustrate accomplished history teaching through movies, this text provides pre- and in-service teachers with ideas for implementing film-based lessons in their own classrooms and offers a deeper understanding of the thorny issues involved in using film to teach history. The second edition is completely revised and updated including: two entirely new case studies; a new chapter focusing on using international film and incorporating a more global view in the classroom; and additional material on using film to tackle difficult and controversial issues; as well as updates to all of the cases. Each section of the book focuses on how teachers can effectively support the development of students’ historical film literacy through topics such as using film to develop interpretive skills, to explore controversial issues, and to develop historical empathy. By developing the skills students need to think critically about the past or what they think they know about history, the lessons in this book illustrate how to harness the pedagogical power of film to provide the tools necessary for rigorous inquiry and democratic citizenship. Alan S. Marcus is Associate Professor, Curriculum and Instruction, and University Teaching Fellow in the Neag School of Education at the University of Connecticut. Scott Alan Metzger is Associate Professor, Curriculum and Instruction at Pennsylvannia State University. Richard J. Paxton is Professor of Education at Pacific University, Oregon. Jeremy D. Stoddard is Professor in the School of Education and associated faculty in the Film and Media Studies Program at William & Mary.